Sally Yasukawa is a practitioner of Chinese Medicine, an Acupuncturist, and a Metaphysical Healer based in the Central Coast area of NSW Australia - (north of Sydney, road distance approx. 80 km.). Since 1975 she has studied and practiced Traditional Chinese Medicine, Taoist (Daoist) philosophy, and Chinese Internal Martial Arts. She is skilled in the use of acupuncture, and the transmission of qi (chi) energy for healing; as well as Chinese medicinal herbs, qigong, taijiquan (tai chi), tuina (qi energy massage), Usui Reiki, and advanced meditative and visualization practices. Her education includes Shanghai College of Traditional Chinese Medicine , Lindlahr College – Perth Australia (Metaphysics), and Chi Chinese Healing College . 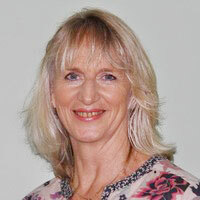 Additionally, Sally has worked in clinics and taught workshops in Australia, USA, Japan and Nepal. Currently (2019) she is a practitioner at the Sana Wellness Centre and owner and founder (in 1990) of the Tao Way of Life. She is especially involved with teaching Qigong and Chinese Tantric techniques to help women balance and resolve any issues with menstrual cycles, feminine sexuality, and infertility.